Bring warmth, nature and tactile pleasure into your bathroom. A unique piece of hand selected wood forms the centrepiece to our bespoke bathroom solution. 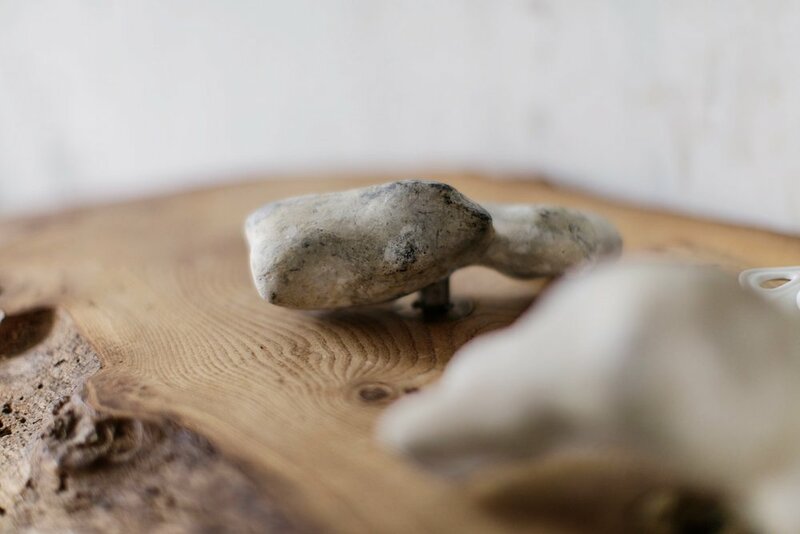 Our sink plinth is constructed with an ancient elm board that floats in a marble surround. Fitted with flint taps that turn the mundane into a tactile pleasure. Finished with bespoke brass spout and a ceramic bowl fixtures. A bespoke and sculptural addition to distinguish any bathroom vanity space. Envision a different space. Talk to us about bespoke and sculptural furniture installations for your home or workspace.